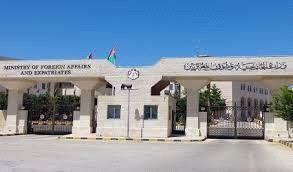 AMMONNEWS - The Ministry of Foreign and Expatriates Affairs said Tuesday that it has been following up on the issue of three Jordanians who were reported kidnapped in Libya since August. After the wife of one of the missing Jordanians told the ministry in August that she had lost contact with her husband and his friend, the ministry contacted the Libyan authorities and sent official notes to the Libyan Embassy in Amman in this regard, said ministry spokesperson, Sufian Qudah. He said that the issue was also raised during a visit to the Kingdom two months ago by the Chairman of the Presidential Council of Libya, Fayez Sarraj. The information that the ministry had gathered indicates that the three Jordanians are safe and that they are being held by security authorities in the Libyan capital Tripoli, he said, adding that the ministry and Jordanian security forces are closely following up on the matter. He pointed out that the Libyan Ambassador had assured the ministry in phone calls that Libyan authorities were checking the case and that the detainees will soon be released.